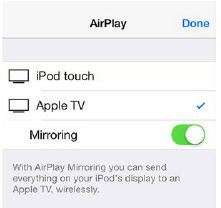 If your Mac supports AirPlay Mirroring, an AirPlay Mirroring menu appears in the top menu. 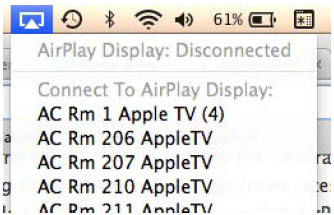 Turn on mirroring by clicking on the AirPlay icon: and then selecting the room number where you want to connect. 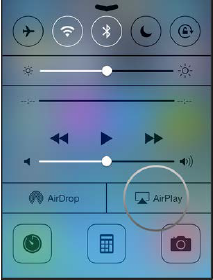 Swipe up from the bottom of your screen to access Control Center and press the AirPlay icon. Tap the name of the AppleTV you wish to connect to and slide Mirroring to ‘on’. Slide Mirroring to ‘off’ to disconnect.